Explore the dynamic culinary scene as we travel through Charlotte's Historic South End. We start at Vin Masters at the Atherton Mill Market (2000 South Boulevard Suite 610) and walk our way through the beautiful Historic South End. Meet the artisans who create these incredible culinary dishes and find out what motivates them. Learn about the rich history and view the architectural beauty in Historic South End only one mile from the center of the city. Eat, Drink, Walk with us through Charlotte's Historic South End. Explore the dynamic culinary scene as we travel through Charlotte's Historic South End. We start inside the Atherton Mill Market located at 2120 South Boulevard and we will walk our way through the beautiful Historic South End. Along the way you will meet the artisans who create these incredible culinary dishes and find out what motivates them. Learn about the rich history and view the architectural beauty in Historic South End only one mile from the center of the city. 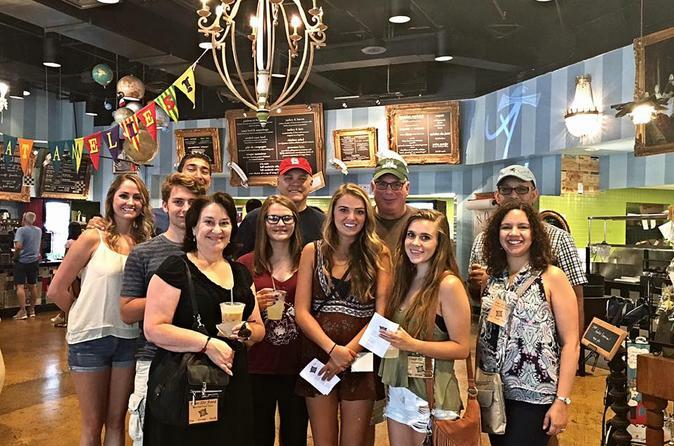 Eat Drink Walk with us through Charlotte's Historic South End. This tour is about 3 - 3 1/2 hours long and we walk approx 2-miles and is available on 2nd & 4th Saturday of each month. Our food tours run rain or shine so please wear weather appropriate clothing.